In his Friday column in The Nation, Kammie Holder gives praise to the men and women of our Royal Barbados Police Force and throws a barb at those (including BFP) who don’t temper their criticism of the police with praise. We at BFP plead guilty to the offence, but we’ll leave it be and just say that Kammie has a point. Kammie also has a point that words matter. He says that the police FORCE should change it’s name to reflect a new approach. According to Kammie, the Royal Barbados Police Force should change its name to Royal Barbados Police Service. For the record, we at BFP agree. Also for the record, dump the phrase “reassure” from the RBPF slogan. We don’t want “reassurance” – we want RESULTS and a safe community. Please visit The Nation link here to read what Kammie has to say. 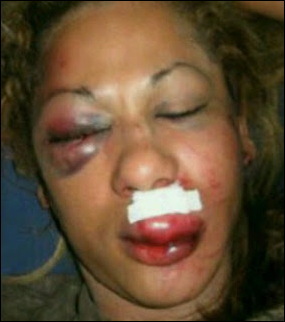 BFP revisits another one of those ‘dropped off the face of the earth’ stories. Can anyone tell us the outcome of Commissioner of Police Dottin being accused of illegal wiretapping two years ago? 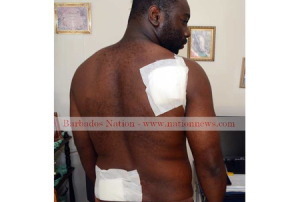 The whole story just disappeared from the Bajan news media. Maybe we missed the final story… maybe Dottin was proven innocent? OR… was some secret resolution arrived at? 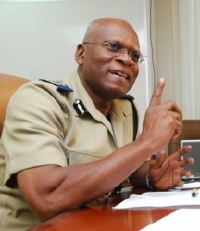 Police Commissioner Dottin claims “national security” as reason for non-disclosure of wiretaps. There is little doubt that police wiretapping of RBPF Inspector Anderson Bowen’s phone conversations happened. Bowen states in his affidavit that Commissioner Dottin played the phone recordings for him during an internal investigation interview. The phone tappings took place at Bowen’s home, his mother’s home and at Black Rock police station. IMPORTANT UPDATE – Location Change!